Join us at Ride4Life as we raise awareness around mental health and mental illness issues. You are invited to become a member of a tight knit group who looks after each other on and off the road. Many of us who are already members know only too well the pain of mental illness and suicide. You are not alone in feeling how you do and there are others who can totally empathise with your situation. Of course there are others who may not necessarily have been affected but are also passionate in the fight against the stigma of mental illness and suicide. You are also welcome to join us pursuing our dream of a society that recognises mental illness as no different to a physical illness. A society that doesn't discriminate or encourage stigmatisation of mental illness and suicide. A society that recognises that we need to do all we can to prevent mental illness and if we can't prevent it to treat it and in so doing reduce the number of suicides in this country. Our primary mission is to raise awareness of mental health issues and suicide prevention. As part of this work, and from a secondary perspective, we also raise money for suitable mental health focussed charities and projects. We are a registered charity with the Australian Charities and Non Profit Corporation (ACNC). 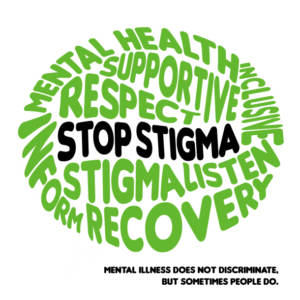 Ride4Life are also signatories and supporters of the Stop Stigma Charter. We would encourage all businesses and organisations to sign up to this fantastic initiative by the Murray Primary Health Network. Click on the image at the top of the page to go to their site and find out more. Why not join us as a member and participate in our work. Subscribe to our newsletter for all the latest from Ride4Life. We will keep your details confidential.